The first international conference of the junior research group Jihadism on the Internet: Images and Videos, their Appropriation, and Dissemination at the Department of Anthropology and African Studies, Johannes Gutenberg University Mainz addresses a topical and socially relevant field that has yet hardly been investigated systematically. During the conference, a public keynote presentation and roundtable discussion, three panels, and three workshops will be devoted to discuss the acoustic dimension of Jihadist video communication, address the cinematic tools applied therein, and focus on artistic ways of engaging with these communicative offers. 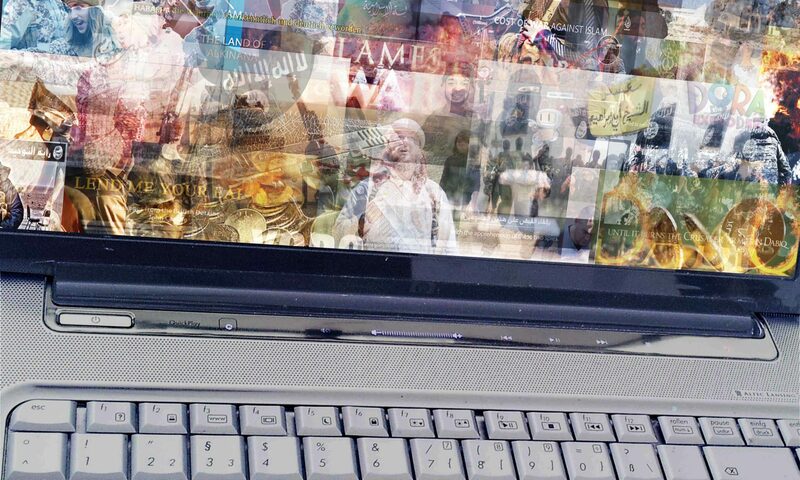 This event will bring together artists, practitioners, academics, and a wider public to debate theoretical and methodological approaches that help to gain a better understanding of the complex world of experience created in and around Jihadist audiovisualities. This conference is organized and hosted by the junior research group Jihadism on the Internet, funded by the Federal Ministry of Education and Research. The event is presented in cooperation with the Landeszentrale für politische Bildung Rheinland-Pfalz and is kindly supported by the Fritz Thyssen Foundation and the Centre for Intercultural Studies (ZIS) at Johannes Gutenberg University Mainz.